Lipoic acid (LA) is a sulphur-containing fatty acid that performs vitamin-like roles in the body. Also known as "thioctic acid," LA functions, in a similar way to B complex vitamins, as a co-enzyme in the metabolism of carbohydrates that produces energy inside cells for the body`s metabolic needs. Lipoic Acid is required for synthesis of "acetyl CoA," a key metabolite in the cellular process that turns glucose (blood sugar) into energy. Because the body produces LA on its own, it is not classified as a true vitamin. As with other so-called "non-essential" nutrients, however, internal LA production may not always be optimal. Lipoic acid functions as both a water-soluble and fat-soluble antioxidant. LA`s ability to act upon free radicals in both a watery and fatty environment makes it a highly versatile antioxidant. In the body, alpha-lipoic acid can be converted (reduced) to DHLA, or dihydrolipoic acid. Together, these two forms of LA make up a "redox couple," which means that each form can chemically change into the other and back again. DHLA also functions as an antioxidant. 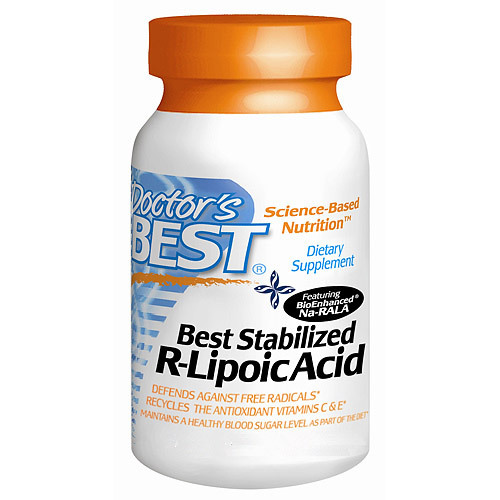 Best Stabilized R-Lipoic Acid contains BioEnhanced™ Na-RALA, the sodium salt of R-Lipoic acid (RLA). Pure RLA is a very unstable molecule that has a tendency to polymerize with exposure to heat, light and moisture. RLA is also hygroscopic, or water-seeking. This presents problems for those wishing to supplement with RLA. Any of these conditions can lead to deactivation of the beneficial activity of lipoic acid. Unlike pure RLA, BioEnhanced™ Na-RALA is a stabilised form of RLA that won’t degrade at high temperatures, is more bioavailable than regular RLA and has no solvent residues. Lipoic Acid- the "Universal Antioxidant"
Lipoic Acid is often referred to as the "universal antioxidant" for a number of reasons. This substance has a broad range of antioxidant activity that makes it ideally suited as a potent free radical scavenger. An ideal antioxidant would have the ability to quench a wide variety of free radicals, to support the functioning of other antioxidants, to function in watery and fatty environments, and to be present in tissues, cells and extra cellular spaces. Lipoic Acid exceeds these criteria and can thus be considered one of the most potent antioxidants available. Encapsulated with; modified cellulose (vegetarian capsule), rice powder, microcrystalline cellulose, magnesium stearate (vegetable source), silicon dioxide. 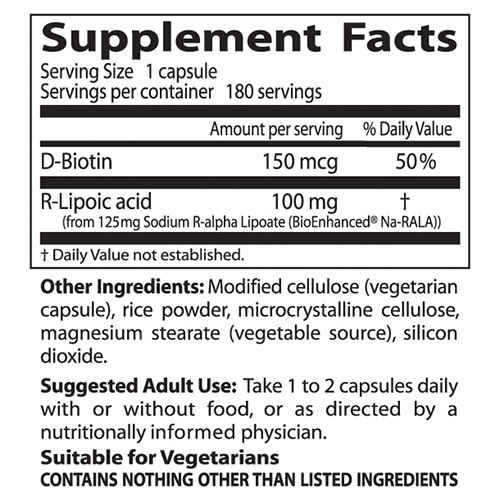 Adults: Take one to two vegicaps daily, or as directed by a nutritionally informed physician. 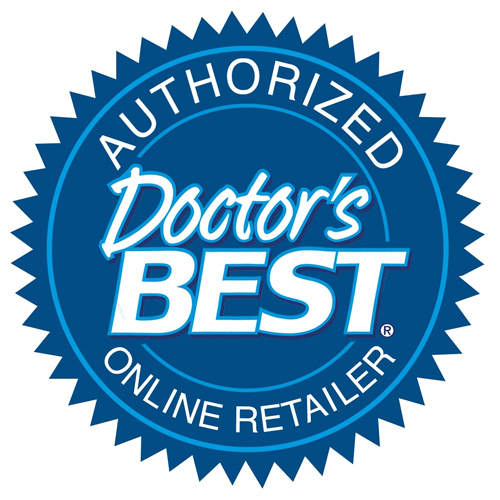 Below are reviews of Best Stabilised R-Lipoic Acid - 180 x 100mg Vegicaps by bodykind customers. If you have tried this product we'd love to hear what you think so please leave a review. Very high quality R-lipoic acid, been using it for 4 years and has improved the pains in my feet and my blood cholesterol has also come down. If in doubt please consult your doctor.It is used in many countries for the management of diabetic peripheral neuropathy. 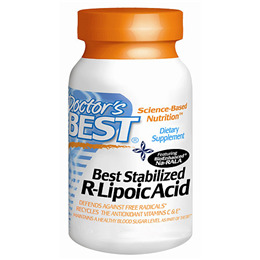 Best Stabilized R-Lipoic Acid contains BioEnhanced Na-RALA and is more bioavailable than regular Lipoic Acid. Lipoic Acid is known as the Universal Antioxidant and is potent and highly versatile.